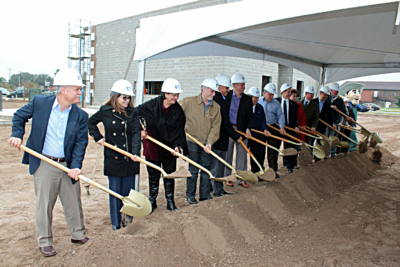 In front of the building already under construction, Lone Star National Bank hosted a groundbreaking ceremony Feb. 7 to celebrate its second Edinburg location. The new branch will be the 34th in a network of banks throughout both the Rio Grande Valley and San Antonio. Edinburg Mayor Richard Molina called it “a great day in our neighborhood” during his remarks that opened the ceremony. Edinburg Chamber of Commerce President Letty Gonzalez, McAllen Chamber of Commerce President and CEO Steve Ahlenius, RGV Hispanic Chamber of Commerce President and CEO Cynthia Sakulenski also spoke to the crowd gathered under tents on a chilly day. 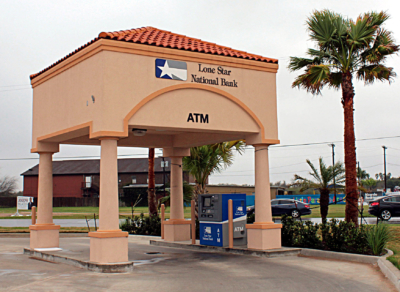 Starting out in a 3,000-square-foot building in Pharr with 10 employees, Lone Star National Bank opened in January 1983. Today, the bank boasts 725 employees. 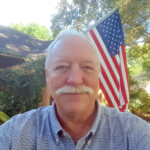 Locations include those in Hidalgo, Cameron and Hidalgo counties, as well as six banking centers in Bexar County. The bank expanded operations beyond Hidalgo County in 2000 when it opened a banking center in Rio Grande City\. In March 2001 the bank opened its first center in Brownsville. Lone Star National Bank moved into the San Antonio market in 2010. See more photos from the groundbreaking in our photo gallery.